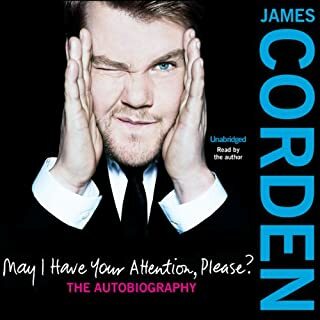 james reads like he is talking to you! 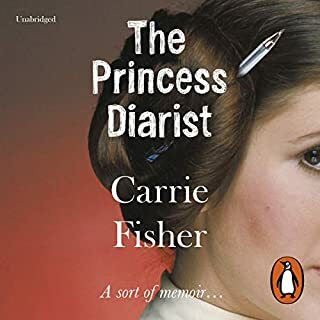 When Carrie Fisher recently discovered the journals she kept during the filming of the first Star Wars movie, she was astonished to see what they had preserved - plaintive love poems, unbridled musings with youthful naiveté, and a vulnerability that she barely recognized. Today, her fame as an author, actress, and pop-culture icon is indisputable, but in 1977, Carrie Fisher was just a (sort-of) regular teenager. Not what I expected but still enjoyed it. 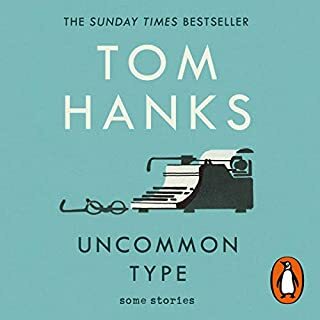 A collection of 17 wonderful short stories showing that Tom Hanks is as talented a writer as he is an actor. A gentle Eastern European immigrant arrives in New York City after his family and his life have been torn apart by his country's civil war. A man who loves to bowl rolls a perfect game - and then another and then another and then many more in a row until he winds up ESPN's newest celebrity, and he must decide if the combination of perfection and celebrity has ruined the thing he loves. Bryan Cranston landed his first role at seven, when his father, a struggling actor and director, cast him in a commercial. Soon Bryan was haunting the local movie theater, reenacting scenes with his older brother. Acting was clearly his destiny - until one day his father disappeared. As a young man on a classic cross-country motorcycle trip, he found himself stranded at a rest area in the Blue Ridge Mountains. To pass the time, he read a tattered copy of Hedda Gabler, and in a flash he found himself face-to-face with his original calling. Suddenly he thought this was what he would do with the rest of his life. Act. 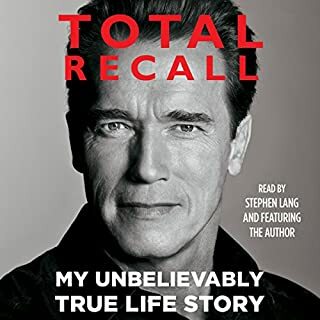 In his riveting memoir, A Life in Parts, Cranston traces his journey from chaotic childhood to his dramatic epiphany to megastardom and a cultlike following by revisiting the many parts he's played on camera (astronaut, dentist, candy bar spokesperson, president of the United States, etc.) and off (paperboy, farmhand, dating consultant, murder suspect, son, brother, lover, husband, father). 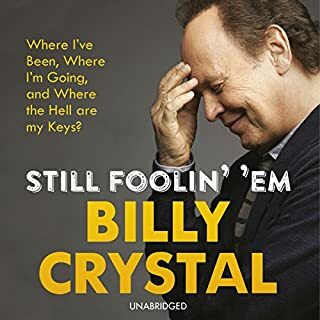 With great humour and humility, Cranston chronicles his unlikely rise from a soap opera regular to a recurring spot on Seinfeld. 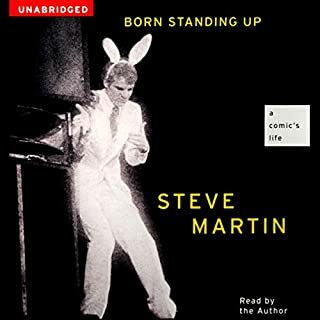 He recalls his run as the well-meaning goofball, Hal, on Malcolm in the Middle, and he gives a bracing account of his challenging run on Broadway as President Lyndon Johnson, pushing himself to the limit as he prepared for a tour de force that would win him a Tony to accompany his four Emmys. And, of course, Cranston dives deep into the grittiest, most fascinating details of his greatest role, explaining how he searched inward for the personal darkness that would help him create one of the most riveting performances ever captured on screen: Walter White, chemistry teacher turned drug kingpin in Breaking Bad. 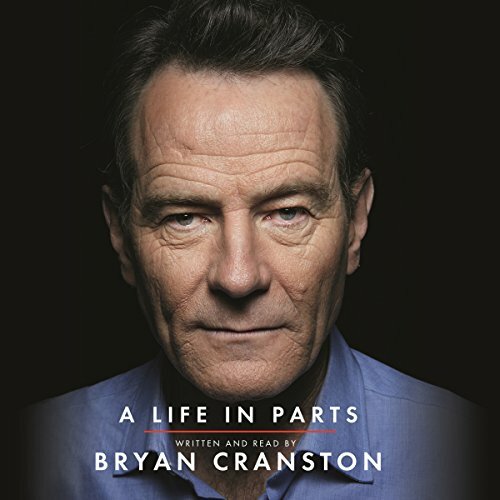 Discussing his failures as few men do, describing his work as few actors can, Cranston has much to say about innate talent and its benefits, challenges and proper maintenance, but ultimately A Life in Parts is about the necessity and transformative power of hard work. 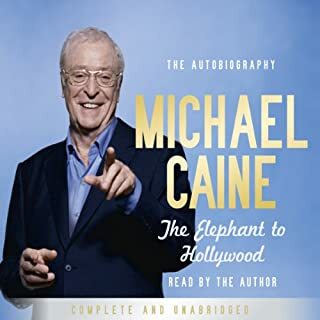 Raw honesty, captivating anecdotes & touching on just enough subject matter on everything you wanted to hear about in the world of a great actor. This is a great listen. It is so interesting to follow along as Bryan tells his story with such blunt honesty. It truly feels like he is so open and willing to share his life with everyone. 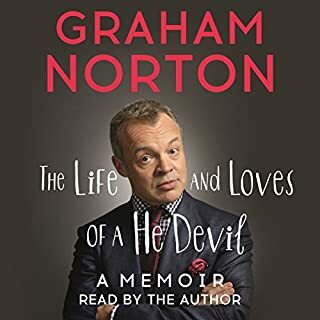 I'll admit when I started I thought his narration was a bit dry and I was concerned I would get bored, but as you go along he gets so passionate about his work and his life that it is inspiring to listen to! 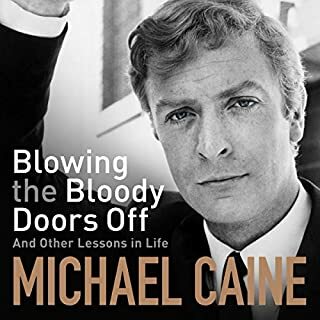 What an interesting account of his life. love him in Braking Bad but not sure I would swap places. His account of his quest to act and the fame and lack of privacy, is sad. Well read and maintains the listeners interest. A wonderful book, great moving story. Bryan Cranstons beautiful mahogany voice picked me up through my drive to work, motivated and charmed me through my house cleaning and put me to sleep at night. 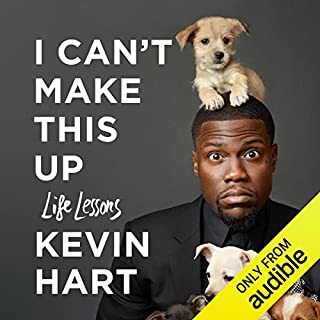 If you listen to one book this year, let it be this one. Hats off to Mr Cranston, a deeply human and engaging read. 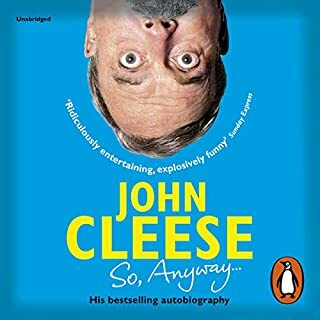 It was fantastically written and a wonderfully entertaining book. It touched me and my life. Thanks Bryan, it makes life a little easier having listened to this. Amazing insight into the film industry! I didn't realise how much I like Bryan Cranston before listening to this! His story is amazing, well written and really well read/told! His voice is pleasant and its easy to follow. I love how insightful it is, both into the film industry and Bryan Cranstons thoughts and feelings. Bryan Cranston used to be one of the "that guys". You know, a working actor that you recognise but don't necessarily know the name of. "You know, the Dad from "Malcolm In The Middle"." And then "Breaking Bad" exploded all over television, making Cranston into a celebrity. I think the main reason I listened to this book was because I was curious to see how he would interpret that journey. 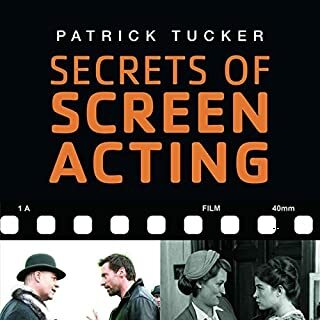 An actor who could have easily been a bit player for the rest of his life, fighting it out in auditions, a perfectly acceptable career... but who instead ended up in a position where he was rejecting scripts through a very methodical method. Cranston comes across as one of those actors who genuinely cares about the craft and also manages to live a relatively normal, healthy life. Considering his turbulent upbringing, I think that's a pretty great achievement. 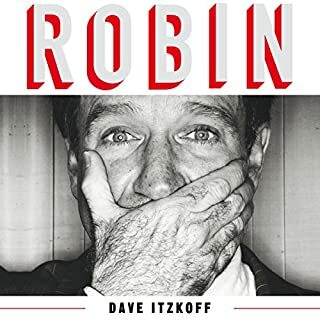 An incredible life, read by an incredible actor. The narration by Brian Cranston was uplifting and inspiring. A master craftsman! Thanks for sharing your life experiences, both the good and bad times. For a man who'd never had high-level formal education I was amazed with his mastery of the spoken word and dedication to detail. A compelling read for people of all ages; especially those coasting through life unsure of what they seek. Loved the first half of this book. Full of fascinating snippets and insights. Surprisingly, things get dull and bloated once Cranston reaches the Breaking Bad period of his life. Would you listen to A Life in Parts again? Why? I would listen to parts of it again when I want to relax before bed. My favourite thing is Bryan's narration. I found the book very relaxing but also inspiring and relatable. What does Bryan Cranston bring to the story that you wouldn’t experience if you had only read the book? I love that Bryan narrates this himself. He has a magnificent voice, and it feels like he's sitting with you just chatting to you about his life. It feels like a friend. I enjoyed hearing about Bryan's less-than-perfect family life. I can relate. He is very down-to-earth. Insightful to his life but also his techniques and modus operandi! Bryan delivers a beautiful reading and an inspiring account of his childhood, career, and family life. Mr Cranston's career path has been the complete opposite of an overnight success, and he (intentionally or not) teaches the reader important lessons on how to approach your career, perfect your craft, and be a good person along the way. Thought provoking and expertly read. Loved it! -I think Bryan Cranston is a fantastic actor and this transferred really well into this book. He seems passionate, I really like that. - It was fascinating hearing him speak about his life, trials & tribulations, as well as the highs. -95% of the stories were genuinely interesting and kept my attention completely. -The ending felt a little flat to me, personally I think it should have ended with more of a crescendo, as it was I think it was a little lost. Bryan Cranston is a true artist. 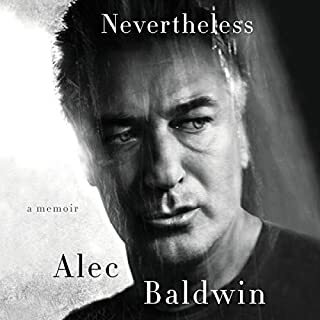 We all know the man can act, but to write and tell his story in poignant and insightful tales of the highs and lows of his life and career, and to actually keep you so invested with each word that you end up reliving that same feeling of addiction you felt when watching his stunning performance as Walter White/Heisenberg in Breaking Bad? That I don't think any of us knew. 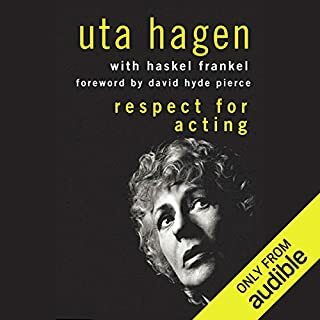 This isn't just for fans of the actor who wish to know about his truly extraordinary and, sometimes, ordinary life, this is also for those curious up-and-coming actors and writers on how they should play the cards that talent and creativity dealt them, and how to listen, learn from and appeal to the actor, the man, who portrayed one of the greatest written characters in modern television. Is there anything Bryan Cranston can't do? After this book you can start believing that you have it in yourself too, to work hard, overcome adversity and build something good that is yours. Started well, enjoyed listening to stories of his upbringing and early career. as it went on I started to find his admiration of himself and how amazing he is to be tedious. 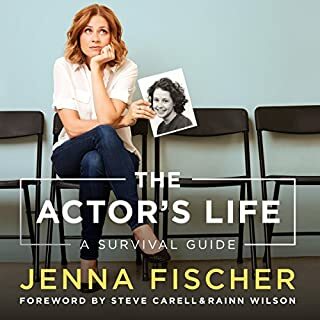 A fascinating insight into the life of a talented actor. I thoroughly recommend it not just because of Breaking Bad. And that's ironic because clearly Mr Cranston is one of the 'good guys'. 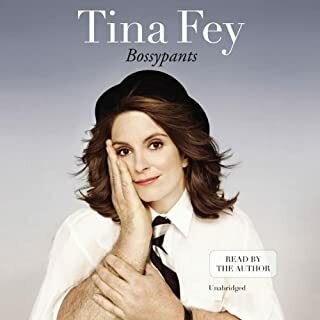 That said I had to pause towards the end of the book as I was only part way through season 4 on Netflix and if you haven't seen 'B-B' yet there are a few spoilers in this book. I really enjoyed this book. 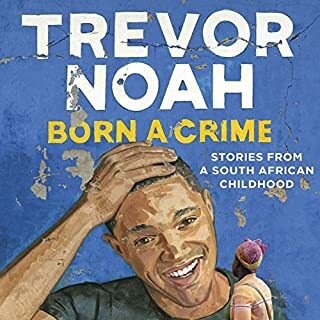 It is the best biography I have listened to. I really connected with the author and in many parts I felt very moved. This is a brilliant book made all the better by Bryan Cranston's fantastic narration. A wonderful, inspiring, personal journey. Highly recommend.